During December and January, the Ostrogorski Centre analysed the ongoing dispute between Belarus and Lithuania over the Astraviec nuclear power plant (NPP), Belarusian army reforms, and the national immigration policy. Our analysts also commented in the media on growing support for Donald Trump among Belarusians, a 30% staff cut in the central apparatus of the Ministry of Foreign Affairs, personnel renewal trends in the government establishment, and the implications for Belarus of a new escalation in the Arab-Israeli conflict. The Centre also held a conference on legal education in cooperation with the Belarusian State University’s law faculty, supported by the Embassy of the United Kingdom in Minsk. Ryhor Astapenia analyses whether the West will join Lithuania’s crusade against Belarus’s nuclear power plant project. On the one hand, many Western politicians see Lithuania’s campaign against the Belarusian NPP as politicised and even panicked. On the other hand, perhaps thanks to Lithuania’s position, any cooperation (except on security issues) between Belarus and the West in the atomic sphere has become less feasible. Therefore, while Lithuania loses the conflict diplomatically, Belarus does not win either. Siarhei Bohdan describes how Minsk silently builds a new army. The Belarusian government has adapted its policies in response to the Kremlin’s staunch refusal to provide Belarus with heavy weapons. Official Minsk continues to build an army better suited to its limited needs and financial constraints, while quietly discarding its Soviet-era, heavier arms without replacement. The simplification of existing army structures automatically follows, which will also reduce offensive capacities. Alesia Rudik discusses Belarus’s immigration policy and how it perpetuates the country’s demographic crisis. In the context of low birth and high death rates, the Belarusian population can only grow through increased immigration. However, Belarus still has no clear policy to encourage labour migration. Moreover, bureaucratic procedures, such as work permits, remain difficult to obtain for the majority of foreigners apart from citizens of CIS member countries, especially Russians, who have special conditions for working in Belarus. The 16 speakers included representatives of the British Embassy, the Ministry of Education of Belarus, the Belarusian State University, Hrodno State University and Brest State University. They comprised legal academics and administrators as well as practitioners from Belarus. In addition, three speakers came from UK-based institutions, namely the British Institute of International and Comparative Law, the London School of Economics and Political Science, and the University of Liverpool. Conference guests included representatives of various government bodies, academics from public and private universities, as well as representatives from Belarusian NGOs (around 40 people in total). 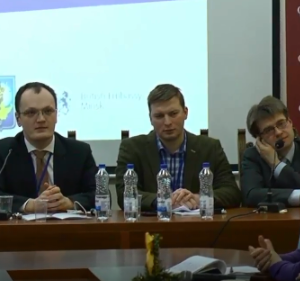 The conference proved an opportunity not only to share the experiences of Belarusian and UK-based academics, but also to help shape the debate on legal education reform in Belarus. The Ostrogorski Centre broadcast the conference live on YouTube and Facebook, and has made videos of each panel available on its YouTube channel (links below). The conference languages were Belarusian and Russian. The Atlantic magazine quotes Yaraslau Kryvoi in its recent article about decreasing global support for Donald Trump. Belarus, however, shows the opposite trend: growing Belarusian approval for Trump likely has more to do with the American president’s leadership style than any U.S. policies. According to Yaraslau, the Belarusian leadership sees Trump as a macho leader similar to the one Belarus has itself. Like Trump, Alexander Lukashenka promotes himself as someone fighting on behalf of the people against the elite. 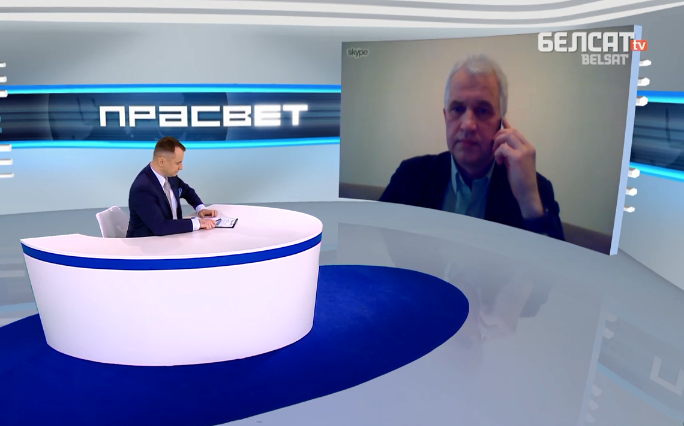 Commenting to Belsat TV, Igar Gubarevich opines that the 30% staffing cut in the central apparatus of the Ministry of Foreign Affairs has become a big stress for Belarusian diplomats. The Ministry’s comprehensive tasks require not only good quality experts, but also a sufficient quantity, otherwise the cuts will damage the interest of Belarus as a country. Siarhei Bohdan, interviewed on Polish Radio, argues that the government establishment renews itself more efficiently than the opposition. It now includes completely different people than it did two decades ago. They value independent Belarus more than the Soviet Union, and MP Ihar Marzaliuk presents a good example. ‘I am convinced that Ihar Marzaliuk is not a lone wolf, but rather the tip of the iceberg, an example of generational change in the Belarusian power elite,’ says Siarhei. On Radio Liberty, Siarhei Bohdan discusses the consequences of a new escalation in the Arab-Israeli conflict, the role of Iran, and the implications for Belarus. In the Iranian-Saudi confrontation, Belarus has sided with the conservative Arab coalition that it thinks has a higher chance of winning, and which is clearly the wealthier side. Uladzimir Kavalkin. Handbook on researching violations and corruption in public procurement in Belarus. BIPART, 2017. Darya Urban. Influence of the legal and judicial system on doing business in Belarus. IPM Research Centre, 2017. Maryia Akulava, Hanna Ahinskaya. Barriers and drivers of women’s entrepreneurship in Belarus. BEROC, 2017. Valiery Zhurakouski, Katarzyna Mirecka, Izabela Styczyńska. Review of the situation of children and young people with disabilities in Belarus. CASE Belarus, 2017. Aleh Mazol. Determinants of poverty with and without economic growth. Explaining Belarus’s poverty dynamics during 2009-2016. BEROC, 2017. The Ostrogorski Centre is a private, non-profit organisation dedicated to analysis and policy advocacy on problems which Belarus faces in its transition to market economy and the rule of law. Its projects include Belarus Digest, the Journal of Belarusian Studies, BelarusPolicy.com,BelarusProfile.com and Ostro.by. Belarusian President Alexander Lukashenka calls the Belarus-Russia border ‘the strangest border in Europe.’ Belarus’s relations with the USA demonstrate incremental improvement. The Belarusian Central Electoral Commission reports on the candidates for the 2018 local elections. Central Asian merchants illegally gain a foothold in the Belarusian market by taking advantage of recent trade liberalisations. Belarus has to significantly raise fuel prices, because of Russian oil subsidy policies. 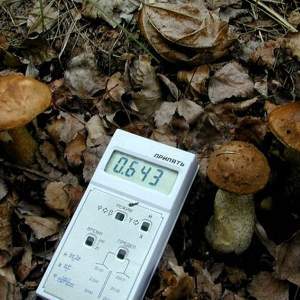 Belarusian inhabitants of radiation-contaminated zones ignore security rules. All of this in the fresh Belarus state press digest. Lukashenka calls the Belarus-Russia border ‘the strangest border in Europe.’ A government meeting headed by President Lukashenka discussed Belarus’s visa policy and its future development. Belarus’s recent measures to ease foreigners’ access to the country is a point of contention with Russia. Since February 2016, the Belarusian-Russian border acquired the unofficial status of being ‘the strangest border in Europe.’ Since that time, Russian has begun to exercise full passport control of all persons coming by road, air, or rail. In fact, it is no longer a possibility for a foreigner to enter Russia via Belarus. Belarus’s relations with the USA demonstrate incremental improvement. In 2017, Belarus and the USA continued to work jointly in spheres of mutual interest, such as trade and economics, humanitarian affairs, the fight against international organised crime, and exchange programmes for professionals. Interaction between experts has also increased. In April 2017, the USA held the first ever Belarusian-American forum for small and medium-sized private companies, organised jointly with the Republican Confederation of Entrepreneurship. In June, Belarus’s national exposition opened at the eMerge Americas exhibition of high-tech in Florida, with several Belarusian business delegations visiting the states of Arkansas, New York, Oklahoma and North Dakota throughout the year. Belarus and the USA have successfully advanced cooperation in preventing the illegal transit of nuclear and radioactive materials and in fighting high-tech crime. A joint dialogue on human rights begun in 2015 has continued into 2017, writes The Minsk Times. Belarus’s Central Electoral Commission reports on the structure of candidates for the 2018 local elections. On average, 1.2 people compete for a local deputy mandate within a district across the country, but Minsk is an exception with an average of 6 local delegates competing per district. However, many regions have constituencies with only one candidate, except for Minsk city and the Mahilioŭ region. Among the candidates, 32 are Russian citizens. 45 per cent are currently serving local deputies. About 30 per cent are representatives of education, science and culture sphere, 11 per cent work in public administration, and about 4 per cent are in trade and services. Approximately 3 per cent of the candidates are military and law enforcement officers, and individual entrepreneurs represent only 2 per cent. As for party affiliation, the Communist Party of Belarus has nominated 333 candidates, the Liberal Democratic Party has put forward 266, the United Civil Party is fielding 78, and the Belarusian Left Party ‘Fair World’ has a modest 72. The elections seem to have woken many parties that have been dormant for some time, reports newspaper Belarus Segodnia. Central Asian merchants illegally gain a foothold in the Belarusian market by taking advantage of recent trade liberalisations. In 2017, clothing stores with surprisingly low prices began to pop-up across the country, reports Belarus Segodnia. There are already almost 80 of these cut-price stores in the regions. The capital, Minsk, has only two. All of the stores belong to merchants from Central Asia. The stores quickly became popular. Meanwhile, Belarusian businessmen started to express concerns. They complained that foreign merchants were stealing their customers and obviously dumping cheap goods to overwhelm the Belarusian clothing market, all the while bypassing the law. They accused them of smuggling their products illegally into Belarus and evading taxes. Their prices are 2 to 3 times lower than the Belarusian average. Local entrepreneurs complain that these new competitors have taken advantage of loopholes in Belarusian legislation, because according to the recent liberalisation of trade measures, controlling agencies cannot officially check the newly created business entities for two years from the date of registration, and only have the right to monitor and offer recommendations. Belarus has to significantly raise fuel prices because of Russian oil policies. Belnaftachim, a state petrochemicals firm, spoke to newspaper Respublika about why it has been forced to raise fuel prices. The domestic market has always been unprofitable for oil processors. Indeed, the state fixes prices as a part of its social policy. Previously, Belnaftachim was able to compensate the difference with highly profitable exports. Russian tax manoeuvres in oil industry has brought the cost of the oil it sends to Belarus to world market prices. The price of gasoline and diesel has increased accordingly. Exports, while still profitable, can no longer close the gap in the sales on the domestic market. Therefore, it is necessary to raise fuel prices. Moreover, the firm needs to invest about $1.3bn into modernisation. Otherwise, by 2020, when Russia plans to equalise oil prices, Belarusian plants will lose their competitiveness. According to Andrej Rybakoŭ, Deputy Chairman of Belnaftachim, in order to compensate for the increase in the cost of oil, fuel prices have to increase by 23 per cent. Belnaftachim considers it necessary to bring Belarusian domestic fuel prices to the level of the Russian market at the very least, which are currently 7–11 per cent higher than Belarus’s. The firm has already undertaken all possible internal measures to reduce costs. Inhabitants of radiation contaminated zones ignore security rules. Respublica has produced a report on the problems in overcoming the consequences of the Chernobyl catastrophe in Belarus’s Homiel region. The main problem concerns the misuse of funds. Last year, for example, over $133m was allocated towards the state’s elimination of Chernobyl consequences programme. As it turned out, the state organisations and businesses involved with the programme were cutting corners, evading taxes and marking down unjustified expenses. The report put the blame to poor management and negligence. Many of the programmes projects failed to be implemented at all. The Respublica drew particular attention to six districts in the Homiel region. State farms were growing agricultural products without any control for radiation. In eight farms, inspections revealed cases of excess amounts of the radioactive chemical strontium-90 in grain, which was being supplied for food consumption purposes. The local dwellers often ignore security rules and go mushroom or berry picking in contaminated zones, such as the Paliessie radiation ecological reserve. Few of them care to safety-check their bounties in radiological laboratories. The state press digest is based on the review of state-controlled publications in Belarus. Freedom of the press in Belarus remains restricted and state media convey primarily the point of view of the Belarusian authorities. This review attempts to give the English-speaking audience a better understanding of how Belarusian state media shape public opinion in the country.